^ Goldman AS, Prabhakar BS (1996). 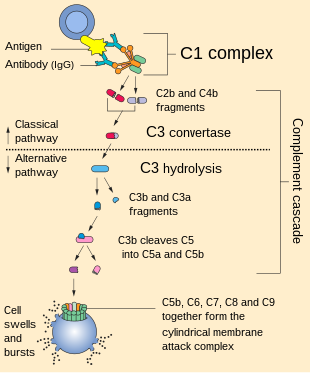 "The Complement System". In Baron S, et al. Baron's Medical Microbiology (4th ed.). Univ of Texas Medical Branch. ISBN 978-0-9631172-1-2.